For over two decades, The Gar-Gano Company has offered a Studex® ear piercing product that not only safely pierces ears, but easily fits 24ct. 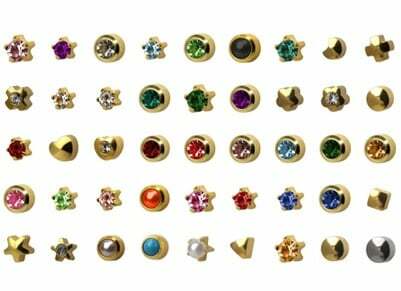 gold over high grade surgical ear piercing studs as well. The design and refinement of this instrument over the years has enabled three different sizes of ear piercing studs (large, regular and mini). The contoured handle is made to fit the hand comfortably, producing a sure grip while piercing. As the spring action plunger pierces the ear piercing stud through the earlobe (in 1/10th of a second), it automatically installs the back/clasp to the post of the stud without producing any discomfort or pinching. Click here for more information about how to use the ear piercing equipment offered by The Gar-Gano Company.